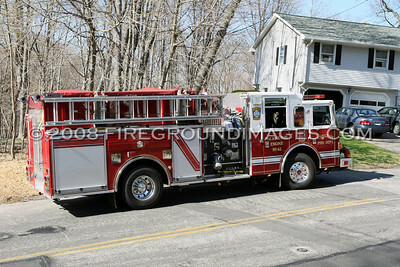 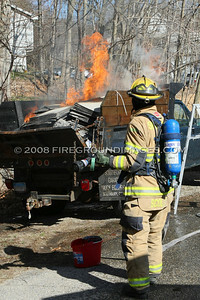 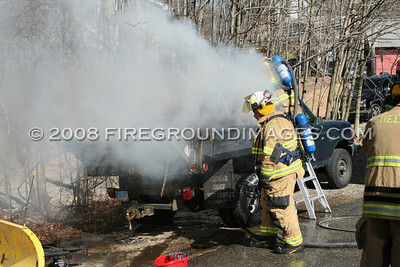 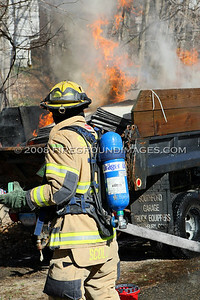 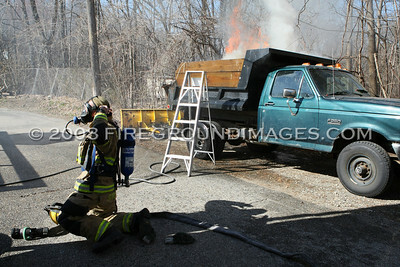 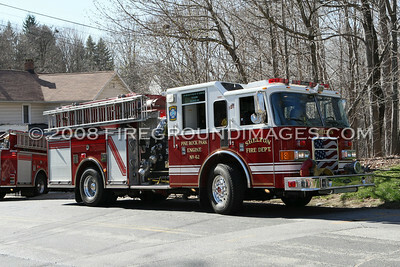 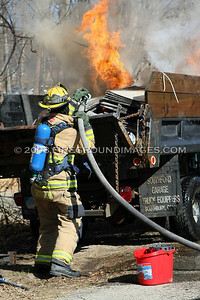 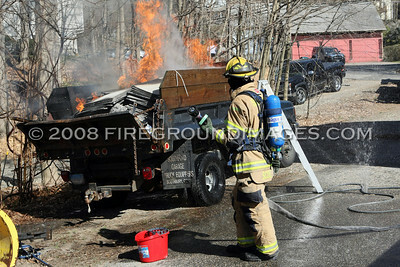 SHELTON, CT - At approximately 4:10pm on April 17, 2008, Shelton Companies 1 and 4 were dispatched to Kneen Street at Forest Avenue for a working truck fire. 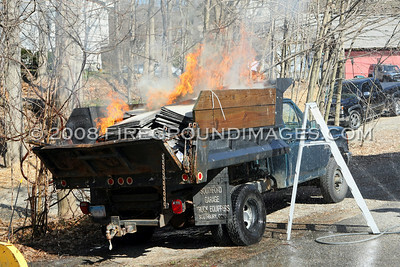 Companies found a dump-body pickup truck in a driveway with roofing materials burning in the bed. 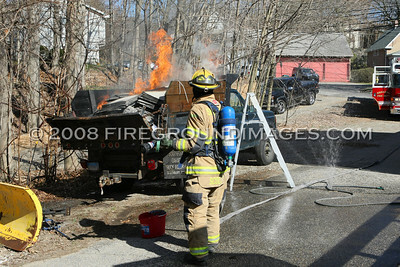 The fire was quickly extinguished and there was no extension to the house.